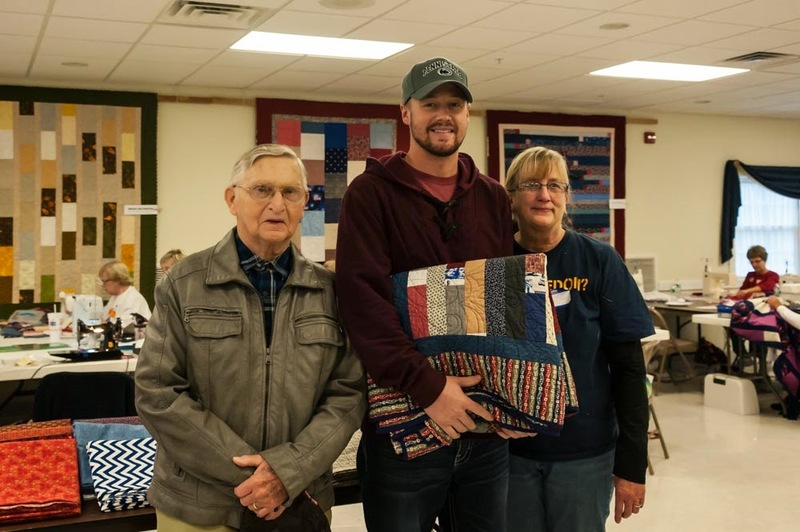 Recently I read an entry on Facebook indicating a $10 fee was being charged under the new Membership Requirements of the Quilts of Valor® Foundation and that monies collected did not have to go to National and all could be kept at the local level. Not based on what I have read. So, as usual I expressed my opinion based on what I have heard and what I have read. If there are any inaccuracies I take full responsibility and will make any retractions required. "Hopefully this will get straightened out but the confusion is running rampant. If you choose to join as an individual it is $20 annually. A Group is $30 plus $5 for each individual that chooses to join said group, annually. Two person groups with a lot of volunteers will become the norm. 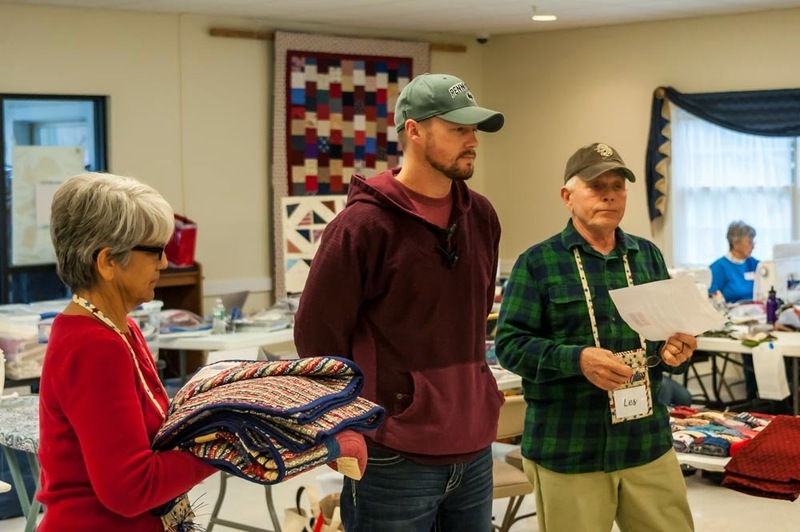 Groups are the only 'members' that can raise funds under the registered trademarks of Quilts of Valor, QOV and Quilt of Valor. The logo is not registered. ALL, every last penny, raised by Groups WILL be submitted to the National Treasurer for accounting purposes. The Group Leader will be responsible and accountable for this. 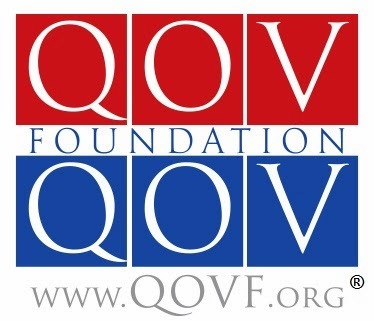 Once it has been reported the designated Group via the listed Group Leader will have access to those funds, ALL, 100% of the monies raised by submitting receipts for "approved" purchases relating to QOVF activities as long as the receipt is the original and dated within the last year will be honored and the funds returned to the Group. Receipts dated more than a year old at time of submission will not be honored. There is an exception for other 501's which I don't understand and cannot explain. There is no need for an individual to pay the $20 fee. The Longarm Coordinators, Jim and Joan (info on www.qovf.org) have set up two "National Groups." A Longarm Group and a Toppers Group. Anyone that does not have a Group in their area to join can join the appropriate National Group. 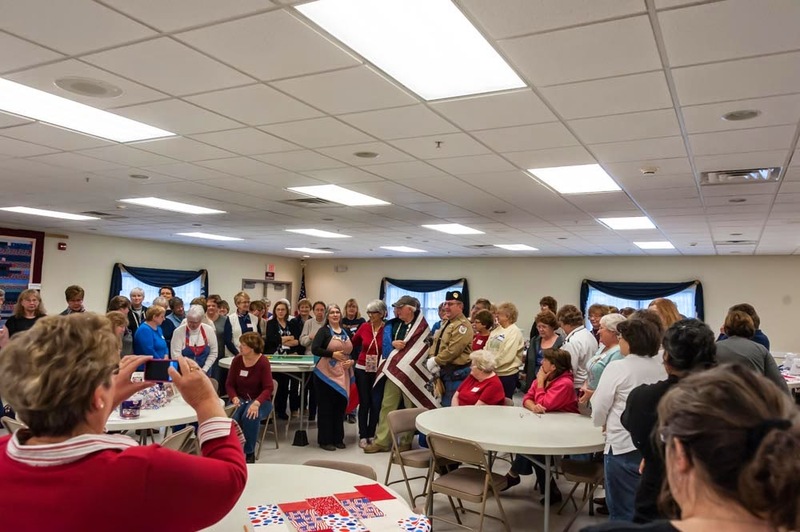 No one, absolutely no one has to give up their volunteer status with the Quilts of Valor. You can continue to sew and contribute to this most meaningful Mission as you have in the past, a volunteer. It must be understood that under this membership model that will become active January 1, 2015 only "members" will be eligible for any and all benefits that may become available to QOVF. Volunteers will be excluded from them and certain sections of the web site. And only "members" will be able to request the services of a QOVF Longarmer and as stated ONLY Member Groups will be eligible for fund raising activities and reimbursement. This does not negate anyone's ability to hang on to your receipts and document your expenses for tax purposes. Consult the appropriate source for tax information. 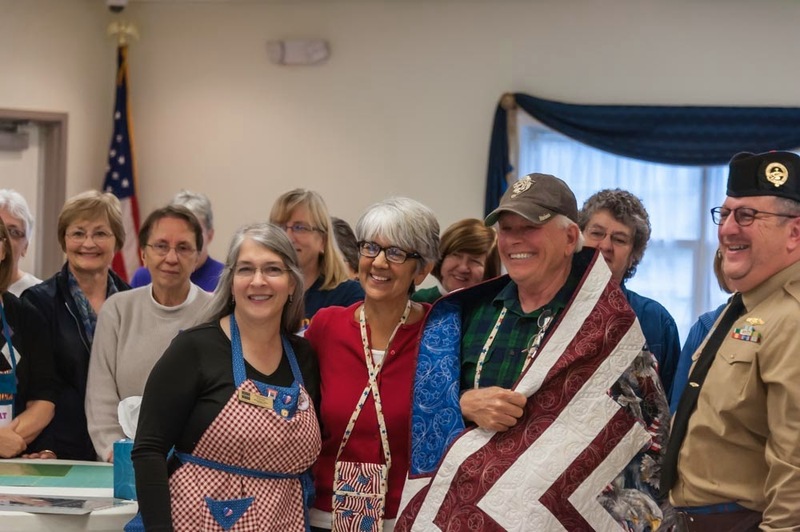 You are going to find that regardless of your personal status someone will be there to assist you with your quilt. It will get completed and it will get awarded. It has been going on for over a decade...it is about the Mission and the recipient…always has been always will be. The IRS requirements have always been met and the shared expenses and other bills have always been paid. Let's hope that continues as well. Personally I find this membership excursion to be a distraction from what is important, the recipient and the volunteer. But that is just my opinion...I know there are others. That's all it is, my opinion. I will continue and until the situation changes will be a part of a two person group, doing everything I can, for as long as I can be productive to support the Mission, the recipients and those that got us here...the QOVF Volunteer. For those that wear that badge of honor I thank you, as a Marine, a combat veteran, a Vietnam Veteran and a longarmer that is graced with some very excellent company. And as a QOV recipient...I don't have the words." I had the privilege of riding last Saturday with the Proud Few Motorcycle Club as a guest. Quite the honor I might add. We met up here in Virginia Beach and headed south with our final destination being the Beirut Memorial, Marine Corps Base Camp Lejeune in Jacksonville, NC. First stop was to meet up with the main body at the residence of one of the Proud Few members. We then assembled and rode to the Memorial. There was quite a contrast between the rumble of steel as we rode to the site and the solemn silence once on site and in the presence of not only the Beirut Memorial but also the Vietnam Memorial...being one of the only Vietnam Veterans its draw was as magnetic as was the purpose of the ride. It doesn't take very long for the inscription that pays the silent tribute to those fallen at the hands of ignorance and cowardice consumes everything that we stand and defend at all costs envelopes your whole being, your whole existence. It taps into the raw and deeply buried feelings that we sometimes have to draw upon to stand the line of defense and not confuse it with vengeance and revenge. The line that separates the cowards that committed this brutal attack against those who were serving in peace to protect our citizens as they served upon foreign soil at our Embassy. There were 241 casualties as a result of the barracks bombing, 220 were Marines and the majority of them were stationed at Camp Lejeune with Battalion 1/8. There were several monuments on site as well...some in reference to this Memorial and like the one below honoring those that may not stand in harm's way but have paid a sacrifice that goes beyond and what only they can relate. It is not only those that stand in harm's way that have been touched by war. 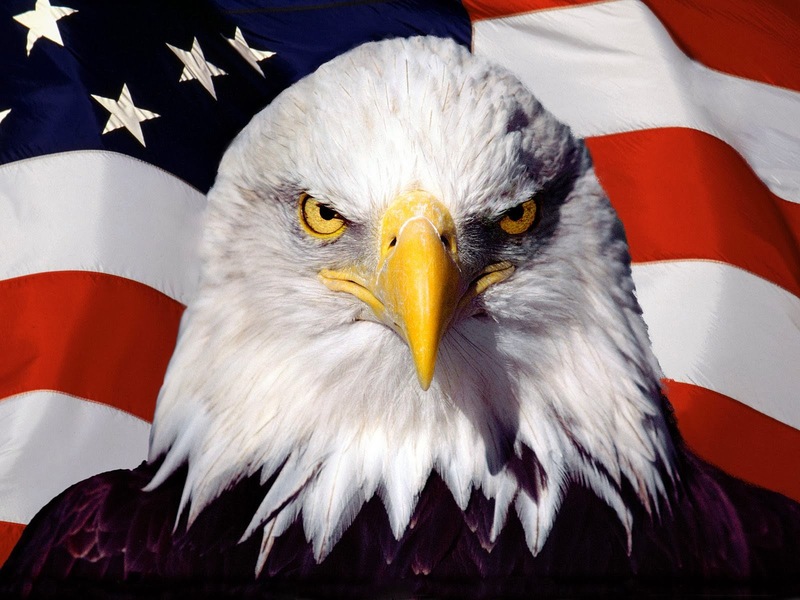 Not even those of us that have stood on foreign soils defending what our country has chosen to take a stand on can relate. As mentioned there was also a Vietnam Memorial...and one of the most impressive outside of the Vietnam Veterans Memorial in our Nations Capital. But it did afford me the opportunity to visit a few friends and again share with them my gratitude for briefly being part of my life through a bond that will never be broken. Sadly not the only names that I know that are etched in the Monuments and Memorials that pay a tribute to the loss of those that stood to defend their land and beliefs. I served with Galyen, I grew up with Spike and that which is shared with Air Force Col. Gordon Page is one of those things that is really hard to explain. He was shot down over North Vietnam and listed as MIA (Missing in Action) on the day I arrived in Vietnam in 1966. In the early 70's his remains would be identified and status changed to KIA (Killed in Action) His wife and one of her son's would move to the town Elaine and I lived in until I was hired by the California Highway Patrol in the late 70's. I have worn and still do on occasion his bracelet. The bracelet was given to me by another Vietnam Veteran. Back then you couldn't specify the individual who would be on the bracelet, you ordered, they sent one. My friend Bill had ordered two, one for himself and one for me. This was one of the two that he received. You have no idea the energy that was drained from my soul when I saw the date listed as the Action Date for the event that led to his death. I was given the bracelet in 1982 and can still, to this day remember the emotion that cast a cold, musty shadow over my being when it was handed to me. And the courage and pride in rendered that same soul knowing we shared values and commitments that only a few share. For we are a few regardless of the service branch. The Memorial, as stated, was quite impressive. The glass panels, etched with the names of those fallen surrounded a the fountain enhanced shrine that honored them. 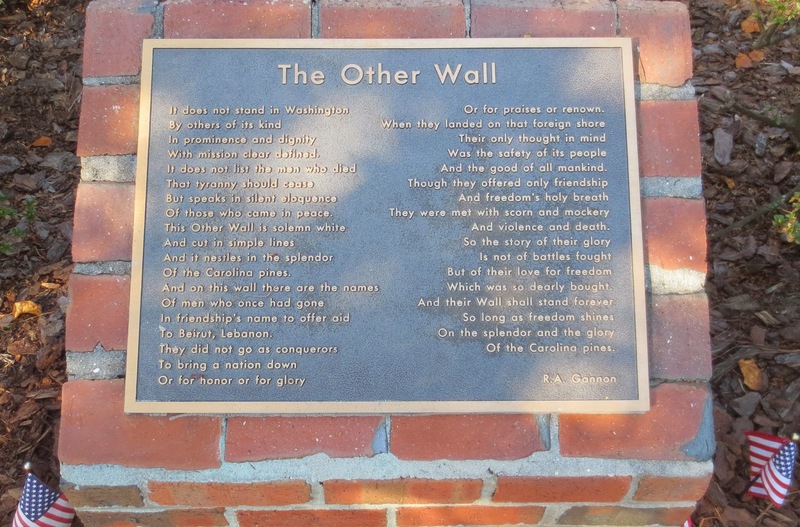 It was all announced by the Monument Wall with the service medallions attached sitting before the flags of each branch. I guess the hardest part of the day was riding past the huge banner announcing a local Quilt Show. I didn't have the opportunity to stop. I couldn't figure out how to persuade 35 other Marines, on a mission to the Memorial as the 30th Anniversary of the Beirut Bombing approaches, bearing names like Rage, Mule, Big Whiskey, Goose and One Shot to take a detour to the display of quilts and quilt wares. I'm not sure they are going to pay much attention to one who carries "Lessie Poo" as a road name very seriously. It's another story.